Aren't we all ready for the warmer weather? This beautiful shawl is a perfect addition to our spring and fall collection, as it is very airy and light, yet provides coverage. 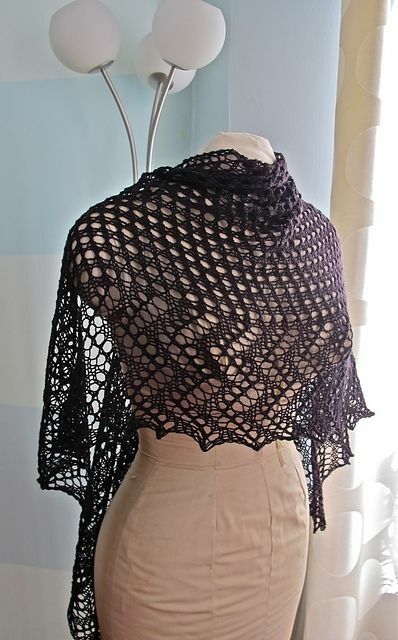 It is embellished with a zig-zag pattern around its border, while the body is created using a very open lacy pattern. This combination will allow for it to fall beautifully around your shoulders and upper arms. This shawl is fashioned using 100% pure Mongolian cashmere, which will provide for a sensual drape and silky shine to the finished product.